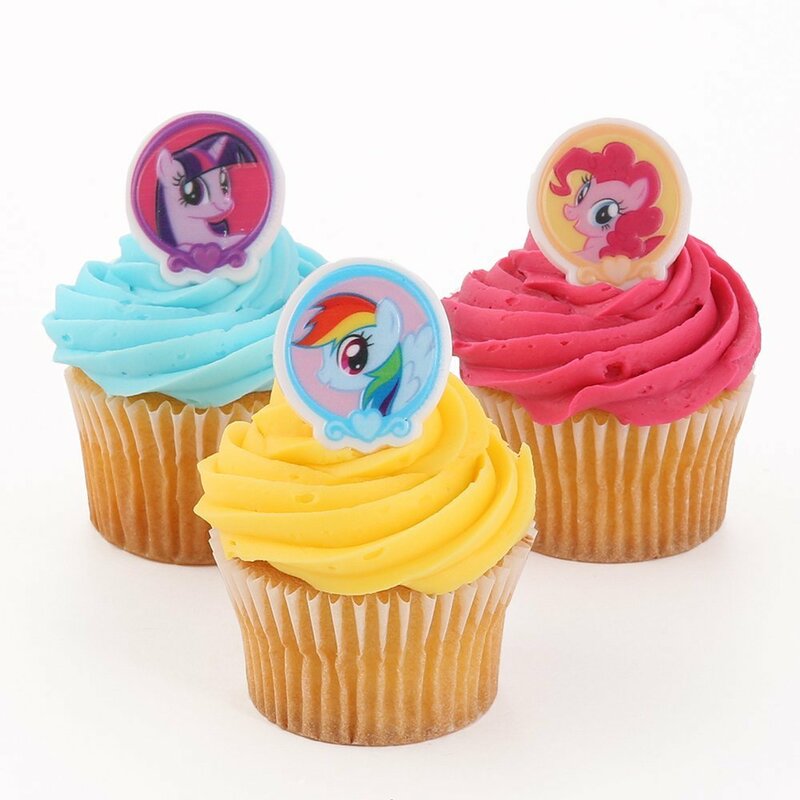 Cake Decorations, Cupcake Toppers and Candy for the special events in your life! 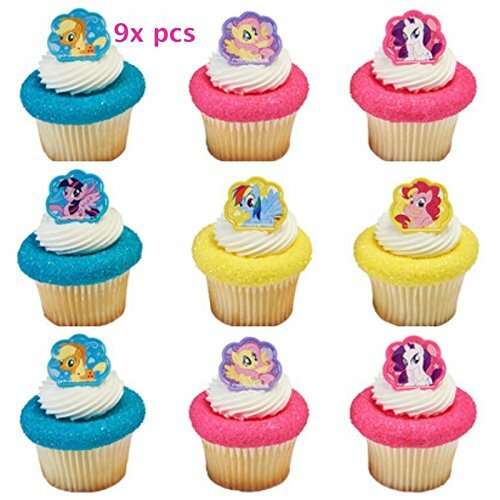 More My Little Pony Party Supplies! CakePicke 9x Cupcake Topper Rings. 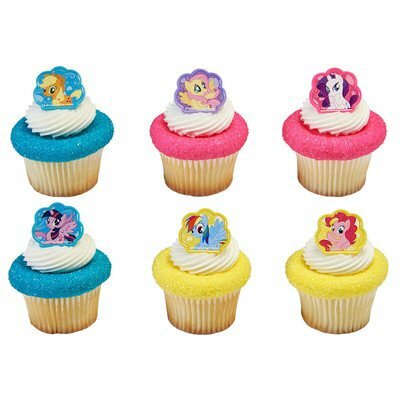 Package of 9 Assorted My Little Pony Cutie Beauty Cupcake Rings.Rings are made of food safe plastic. Occasion:birthdays and parties. CakePicke products sold by authorized sellers. Package of 24 plastic rings. Size: 1 1/2 inch. Officially licensed product. 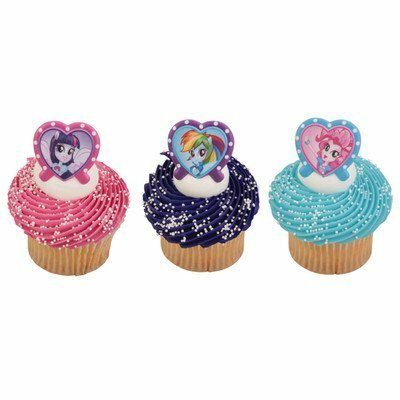 24 My Little Pony Cupcake Rings. You will receive each character and color. 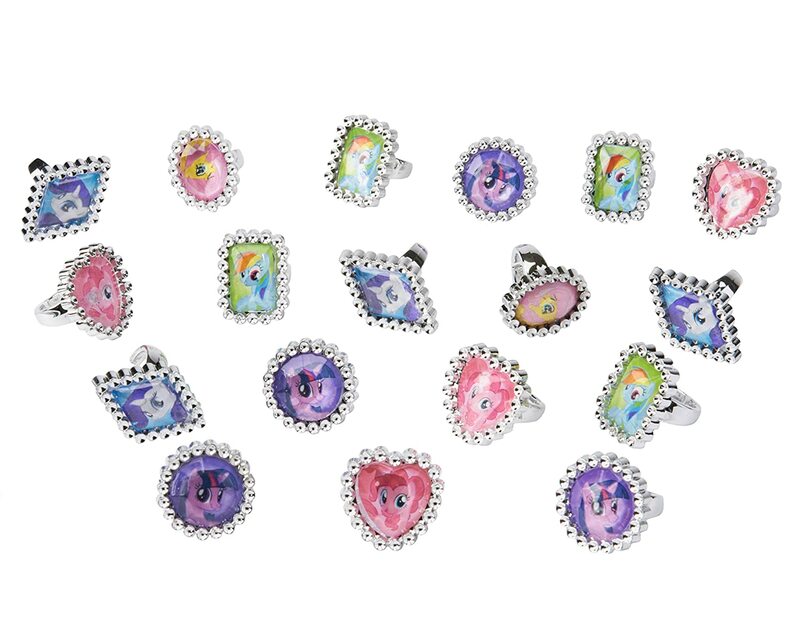 This is a 6 piece set of My Little Pony Equestria Girls inspired children’s rings. 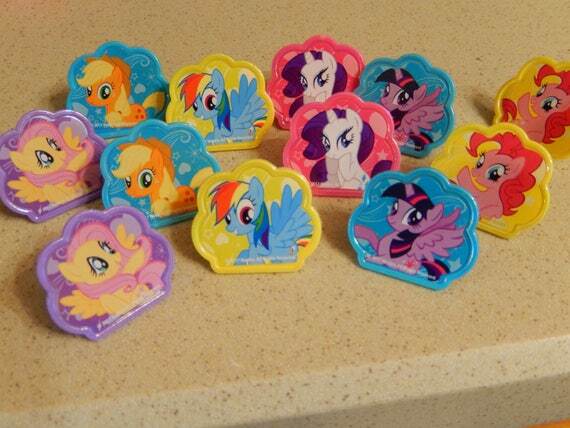 (There is a 12 pack also available in the shop.) 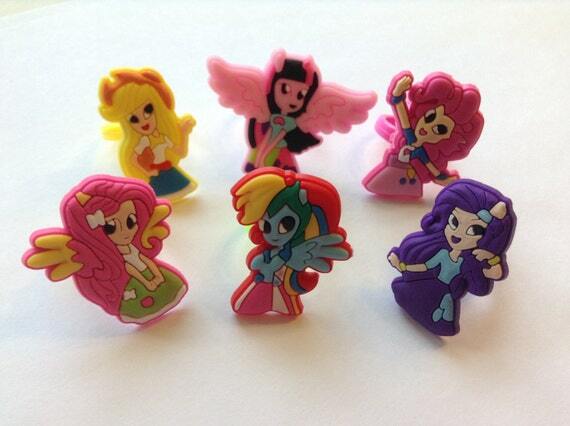 They are all handmade by me using rubber shoe charms and are a about the size of a quarter (around 1″/25mm). 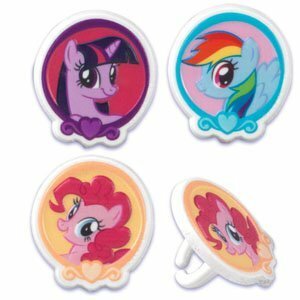 The charms are pvc rubber and the ring bases are plastic. They are small rings designed specifically for little fingers. They will not fit adults. 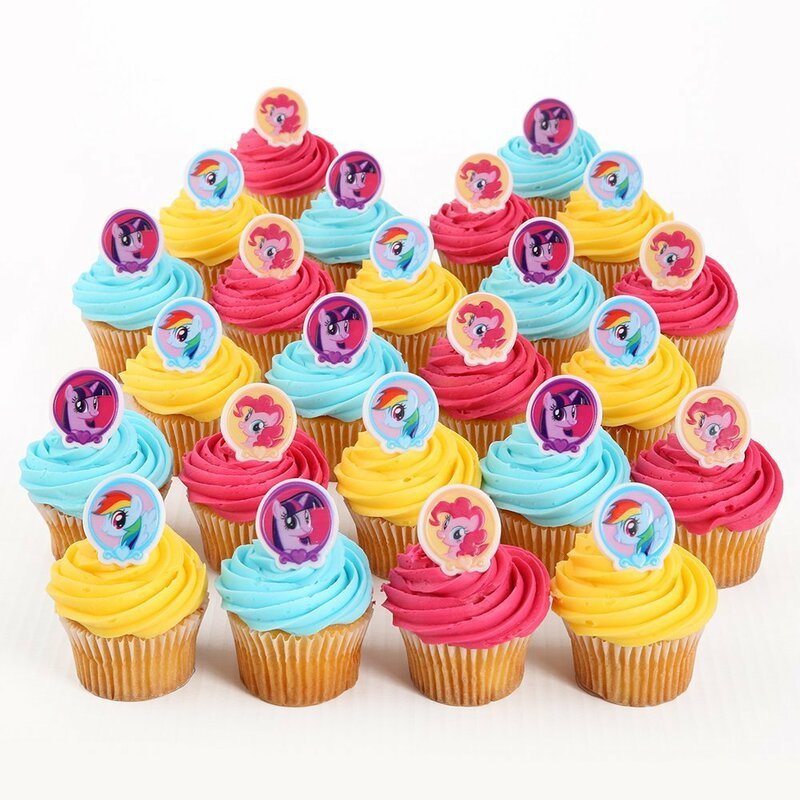 My kids play with them like action figures but they can be fun party favors or cupcake toppers too!